Here is your Pisces Horoscope for June 2018. Every month, you will find at WeMystic the astrological forecasts for your zodiac sign. In sentimental matters, June will be a positive period for natives of Pisces, who will enjoy peace and family life. The passage of Mercury and the Sun over the V House of the sign (on the 12th and 21st respectively) indicates the possibility of romance for single people, and the opportunity to rekindle the flame for established couples. Short trips for pleasure and fun (as a couple or with the whole family), have a positive outlook during this time of the year. Outdoor activities will bring you fond memories and the opportunity to meet new people. On June 13th, the month’s New Moon will take place under the influence of Gemini which will touch the IV House of Pisces, representing projects at home (remodeling), the chance to move, and recognizing the importance of family ties (present and past) in your life. The other lunar event this month will be the Full Moon on June 28th, which will take place under the influence of Capricorn. Note that this full moon will affect the XI House of Pisces, where Pluto and Saturn are also in retrograde. This lunar transit, along with the Saturnian and Plutonian influences, represents tension and conflicts within your usual group of friends which could lead you to take a kind of vow of silence (self-imposed), letting others opinions prevail, even if you do not agree with them. If you really want to be heard in all areas of your life, it is time for you to value your own voice. That is if you can do it without losing the perspective you have in the present and without falling into self-punishment for any past behaviors. (Mars in retrograde in the XII House of Pisces, starting on 06/26). 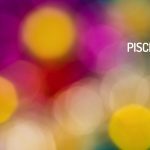 Finances will remain stable for the sons and daughters of Pisces during the month of June. The presence of the asteroid Juno in the II House of the sign, will push you to commit to your economic stability. Objectives such as diversifying income sources, planning monthly expenses, or establishing a savings plan for a dream trip or other desire are in store this month. It is worth noting that Chiron and the asteroid Eros are also in the II House of Pisces. Chiron’s influence refers to looking at each challenge (or crisis) as an opportunity to grow with respect to your finances. While Eros, asteroid of lust and desire, helps to increase personal confidence and channel creativity towards developing financial and investment plans. In this sense, it should be noted that the V House of Pisces (the area that represents creativity and romance), will be visited by Mercury and the Sun during the month of June (on the 12th and 21st respectively) . Both planets will bring additional inspiration to the follower of Pisces which will be utilized not just in the professional field but in other areas of life too, especially those related to romantic relationships, pleasure and fun. At work, the sons and daughters of Pisces will be grateful for a series of improvements in the workplace (physical, structural or staff) which they have been waiting for. The changes will coincide with the entrance of Venus into the VI House of the fish (06/13), which implies “falling in love” again with your work and enjoying all the little details that previously went unnoticed. Remember that the North Lunar Node or Node of Karma is also in the VI House of Pisces, indicating that any lessons you learn about work, health and daily routines are designed to help you reach your potential. Also, it would not be surprising if you received a promotion at work which positively affects your quality of life. However, you should keep in mind that your new status may not please everyone (Vesta in retrograde in the X House of Pisces, starting on 06/13). In this sense, the support that the presence of Chiron in the II House of the sign makes is crucial, since it is a transit that helps to make you aware of your own value, higher than the opinions of other people (do not doubt yourself). June can be a difficult month for students of Pisces because Jupiter will continue in retrograde in the IX House of the sign, which will lead to questions about whether you really follow your own desires (academically) or just want to meet the expectations of others (family, partner, friends) in order to win their approval. Keep in mind that this planetary position (Jupiter in retrograde in the IX House of Pisces) can delay procedures such as registration, preparation for moving abroad or travel. Do not despair because everything will come together eventually; take advantage of the additional time to finish any pending tasks (documents, permits, vaccines) and reflect on your true wishes and intentions. In general, the physical health of the natives of Pisces has a positive outlook for the month of June; however, Neptune (the ruling planet of the sign) will begin its retrograde phase on 06/18, which will affect both your psychic and spiritual prospects. Neptune in retrograde in Pisces, can cause periods of nervousness, emotional imbalances, difficulty concentrating and interrupt sleep patterns (insomnia, night terrors, lucid dreams). To counteract this tendency, it is a good idea to practice activities that relax you (outdoor walks, readings, yoga, tai chi, or other similar disciplines). On the physical plane, the followers of Pisces will have a high amount of energy. The entrance of Venus into the VI House of the sign, starting on 06/13, will increase fertility, as well as the desire to change your appearance or wardrobe. Since the transit of Venus will take place in the VI house of Pisces, it does not referring to simply flattering yourself, but projecting a new appearance which matches your objectives or the position that you wish to reach at work. For Pisces, June is an excellent month to carry out cleansing diets with professional assistance. Do not start a new diet just because it helped a friend. Every organism is different and deserves attention according to its needs.